With assistance from a $300,000 grant from the GE Foundation, A.T. Still University’s School of Osteopathic Medicine in Arizona (ATSU-SOMA) is piloting CentricityTM Electronic Medical Records (EMR) as part of each Virtual Community Health Center (VCHC) case study. During the first phase, 2014-16 EMR will be integrated into cases slated for first- and second-year medical students. Students access virtual patients in Decision SimulationTM − this allows students to assume the roles of the healthcare team. 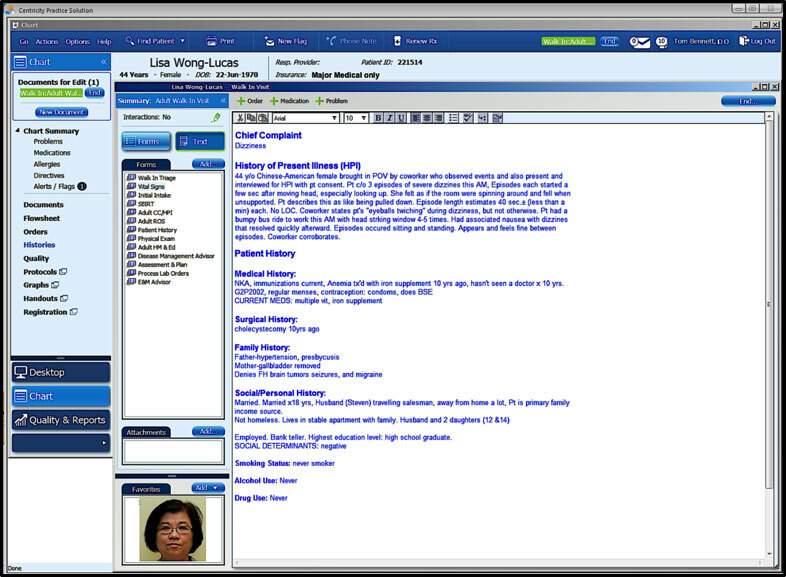 As the case progresses, a patient’s history and lab work is added into the EMR. Students review EMR pages, searching for specific information. Teams of two to three students collaborate on clinical decisions. Students receive immediate feedback after each decision.